Glutathione production tends to diminish with age, but it is highly important to keep a stable supply of this vital antioxidant. 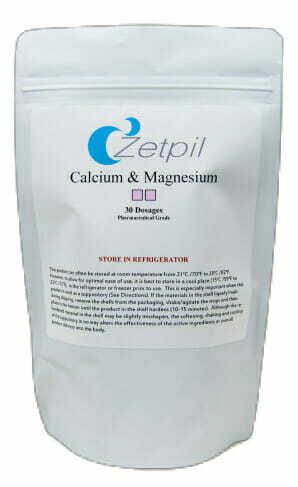 Zetpil Reduced Glutathione Suppositories are a convenient and potent alternative to oral glutathione supplements. Earn up to 207 DR Reward Points. Glutathione ranks highly among the most important antioxidants naturally produced in the human body. Glutathione production capabilities tend to diminish with age, but it is critically important to keep a stable supply of this vital antioxidant. 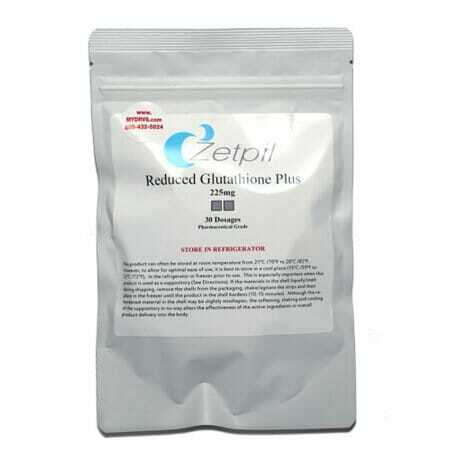 Zetpil Reduced Glutathione Suppositories are a convenient and potent alternative to oral glutathione supplements. Also contains glutathione precursors NAC and Taurine. 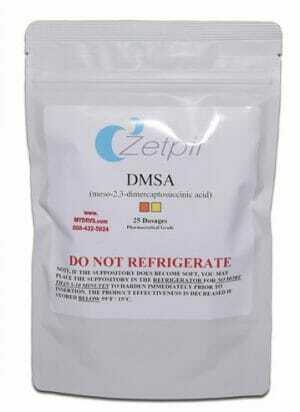 225 mg or 450 mg of potent reduced glutathione (GSH). NAC and taurine are added to support the production of glutathione in the body. All three ingredients are powerful free radical scavenging agents. Reduced Glutathione Suppositories greatly improve absorption as compared to oral intake. Suppository base is designed to dissolve fast, but release nutrients slow for optimal absorption. Can be shipped with ice to ensure preservation of shape and potency. Glutathione is the most central antioxidant in the body. As such, it is crucial to have an adequate supply of glutathione to prevent the accumulation of oxidative stress – one of the central factors in aging.1 However, there is much debate as to the best method for raising glutathione levels. Most experts contend that simply consuming oral glutathione supplements alone is insufficient to increase stocks of glutathione significantly. The primary issue with oral glutathione supplements, like capsules and liquids, is that the vast majority of molecules are oxidized and degraded in the digestive system before reaching cells within the bloodstream. This is the main reason why so many specialists believe that glutathione has particularly low bioavailability. However, glutathione in suppository form has displayed significant improvements on the absorption rates of glutathione in a number of recipients. This convenient alternative to oral and IV intake has given many who are glutathione deficient the exact level of support that they need. It is also recommended to find a supplement that pairs glutathione with other nutrients which support the production of glutathione and antioxidant activity in general. For this purpose, a proprietary blend of NAC and taurine has been added to these potent reduced glutathione suppositories. This suppository contains Vitamin C. However, when taking N-acetyl –cysteine it is recommended that two to three times as much vitamin C be taken. Vitamin C is depleted because of the prolonged presence off the oxidized cysteine. Other Ingredients: This product contains an extract from soybeans. This product can be taken at any time during the day, but we recommend it is best taken before retiring at night to facilitate maximum absorption and retention. It is recommended that you always attempt to move your bowels prior to inserting the suppositories to avoid discharging of the suppository before the suppository can be totally absorbed. 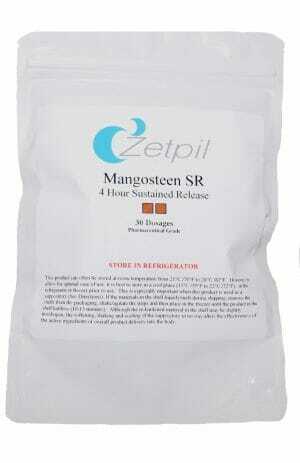 It is recommended that the suppository be retained for approximately 15-20 minutes to ensure adequate absorption of the nutraceutical, herbal and nutrient ingredients contained herein. Consider laying in the suppine position for 1-3 minutes following insertion.